I’m sure by now you’ve read many articles about the top 10 (or 20, or 100) mistakes website owners make all the time. For whatever reason(s), many people – including website owners, website developers, web designers, marketing people – all of them more or less involved in or even responsible for a website’s or a website-related advertising campaign’s performance – tend to display an almost primal fear of comprehensive data and analytics. Some don’t even know such a thing exists (seriously), some totally ignore it, some neglect it, and some blatantly refuse to accept or even look at it. Is it because they’re afraid they might see something they don’t like? Something they don’t agree with? Something that might prove an assumption or decision wrong? Tracking, measuring, testing and analyzing are the keys to optimization and – ultimately – success. How do you know you did great if you have nothing to compare your data to (or with)? How do you know your last campaign was a true hero – or if it was a zero? How do you know that your website visitors truly love your latest and greatest design update? What worked last year might no longer be working, and how users behaved 10 or even 5 years ago most likely has lost relevance by now. So, unless you have unlimited funds to support more of this spaghetti-throwing “marketing” strategy, it’s time to get real and become friendly with your data. You can’t measure what you don’t track. Record and track as much as you possibly can (within all legal limits of course). Oh, and please ditch webalizer or AWStats. It’s time to join the rest of us in the 21st century. 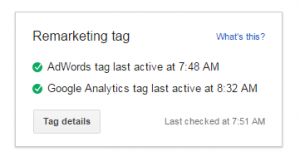 Link your Search Console and (bing) Webmaster Tools, install Google Analytics, your AdWords Conversion pixel, a Facebook pixel, a Twitter pixel, and all the other pixels and snippets and tags and start collecting data. But just in case, make sure they’re all firing correctly and collecting properly.If you’re interested in recording particular data points or custom events, make sure you get it done right – keep an eye on it and monitor closely. Sometimes it takes a day or two until you see results. Nothing is more frustrating than returning a while later to find out nothing has been recorded or that you’ve been recording incorrect, incomplete or even duplicate data (we’ve seen this done on purpose when people tried to artificially inflate the numbers). The amount of data being collected by these services can be quite overwhelming. What does this mean? Where do I find …? Does this even matter to us? Not everybody’s goals are the same; and while there are many “general should-know reports” there are way more uniquely particular client-, vertical-, or location-specific areas of interest to monitor and report on. 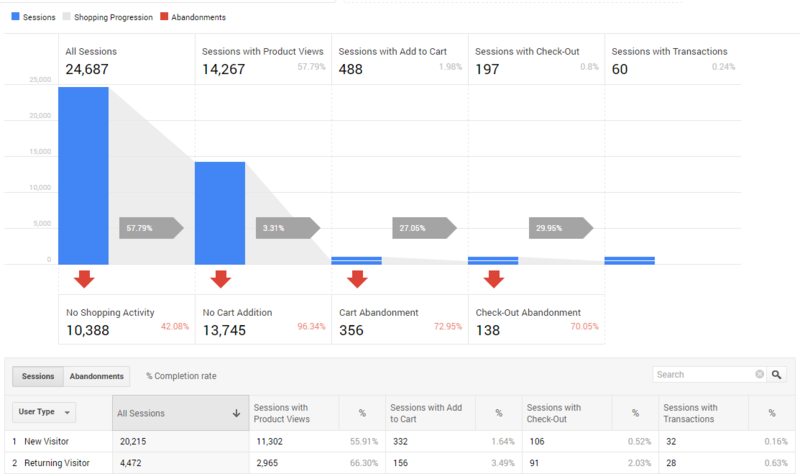 If you’re running an e-commerce store, you might want to concentrate on your customers’ shopping behavior, shopping cart abandonment and transactional data. Note: No matter what your individual goals are, start tracking! For crying out loud, monitor your data! Certain services make it very easy to track “performance” or “report on” performance-based metrics. 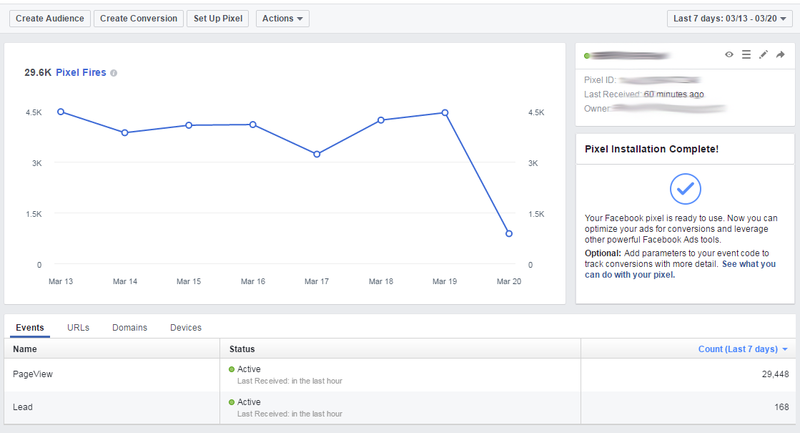 Ever ran a facebook ad campaign? Not only does facebook let you know that “your post performed better than 95% of you other posts”, they also give you the opportunity to “Boost It” to reach and additional x number of people right then and there and then send little notifications about the performance and the spend every day to your phone. How convenient! How easy! Besides the fact that many people have no idea what the actual numbers mean (check facebook help for questions regarding Engagement, Reach, Post Actions, etc) – most people never go any further than the little screens on their phones. Sorry to tell you, but that’s not enough. Not enough to provide comprehensive reports (or results) anyway. You have to get into it. Most platforms provide you with options to either keep an eye on the competition or even prepare the data for you. From slow loading times, an overly complicated structure, unusable or unclear navigation, missing CTAs or just plain atrocious design – the reasons why your visitors don’t convert, don’t stick around or simply leave immediately are numerous. Your analytics data will tell you where to start. You think there might be a reason why Desktop users on the website below convert at at 3.65% rate and Mobile users only convert at a rate of 2.39%? It’s most certainly not because their users aren’t predominantly mobile (66.19% vs 28.60%). Most importantly: Listen to your data! Now that you’ve collected and analyzed everything, it’s time to get serious about reporting and optimization. Remember that it’s critical to understand exactly what you’re reporting on and what your recommendations are based on. Data can be a very powerful weapon, make sure you know how to use it. Without proper understanding of the inner workings of your data, how and when it is being collected, or comprehensive reporting on the segments (as highlighted in the following examples) any suggestions or improvements are nothing but a colossal waste of time, effort, and – usually – someone’s money. If all this sounds like a lot of work – it’s because it is. An ad leads to a landing page on your website, and the only CTA is a download button to download a PDF (with a direct link to the PDF). Even if 100& of the users who land on that page complete the desired action (click the download button), Google Analytics will most likely count it as a bounce. Why? Because no additional trigger was sent to the Google Analytics server. So you could be incorrectly reporting that the campaign was a dud, when in reality it was extremely successful. Issue: Lack of understanding what happens when, where and how. You were running a facebook ad campaign to promote a product or service on your website. But in Google Analytics you only see “facebook” as a contributing traffic segment (in your Default Channel Grouping’s Social tab), but not which ad (campaign) was responsible for the traffic – hence you have no way of telling if it was “regular” social traffic or paid social traffic. Issue: Thinking set-it-and-forget-it is all it takes. After a site redesign a client noticed a sharp decline in form submissions. Issue: Extremely bad design decisions. 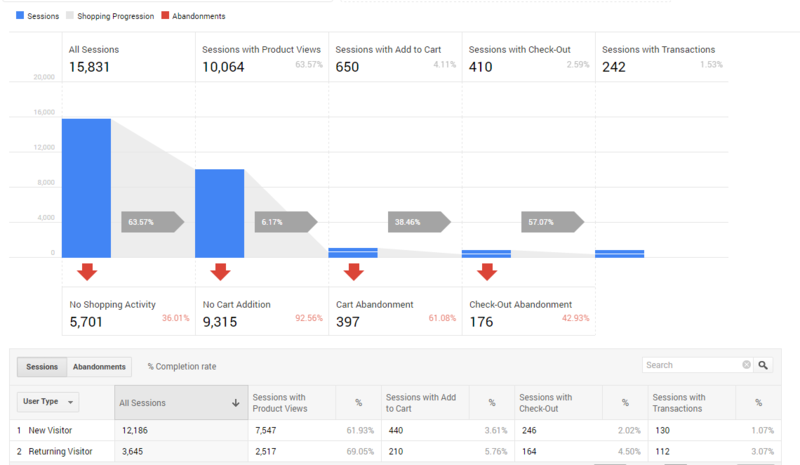 Initial reporting on this client’s e-commerce site’s overall performance as well as the contributing AdWords account led us to suggest drastic changes. – Check Out Abandonment Rate decreased from 70.05% to 42.93%. – Almost $35,000 increase in revenue while AdWords spend deceased by almost 50%. Issue: Thinking “Traffic” automatically means revenue and that it is the only important metric, and that you can compensate for useless traffic by throwing more money away. – Data is your friend, not your enemy. – Make sure you really, really understand how everything works. Including capabilities, limitations, and default settings. – Don’t get hung up on irrelevant stuff. The devil is in the details. – Search engines don’t buy from you. Users do. – Testing is a necessity. – Don’t think you know better. You don’t (see above). – Don’t assume you can’t do better (see above). There’s always room for improvement. – Users are allowed (and encouraged) to make emotional decisions. You aren’t (see above). – Opinions don’t affect facts. But facts should affect opinions, and do, if you’re rational (Ricky Gervais). – If you don’t want to deal with it, get or hire someone who does.